I recently reviewed a Mac security app called Little Flocker, which is a Mac security program that protects files on the Mac from being modified or removed by unauthorized applications or processes. The program was written by Jonathan Zdziarski, a computer forensics expert who has subsequently joined Apple’s security team. Because he’s now an employee of Apple, Zdziarski recently sold Little Flocker to security company F-Secure. F-Secure announced their purchase of the app on April 6th on their company blog, and TechCrunch wrote about it the same day as well. If you purchased Little Flocker and have had issues lately trying to update the program, or you’ve noticed that the Little Flocker website seems to be down (it has nothing there anymore save a message indicating it’s down for maintenance), this is the reason why. Little Flocker has a new home, and a new name. F-Secure is rebranding Little Flocker as XFENCE, and according to its new page on the F-Secure site, it will be available for download soon. You can find more information at https://campaigns.f-secure.com/xfence/. According to the TechCrunch article, F-Secure is going to honor existing perpetual licenses for Little Flocker, which is good news for those of us who have already purchased the product. In addition to the standalone XFENCE version of the product, F-Secure also plans to roll it into their existing F-Secure Safe Internet security product. One disappointment I have with F-Secure’s acquisition process so far is they haven’t bothered to communicate with existing Little Flocker customers at all. A simple email explaining the change and directing people to look at XFENCE and F-Secure Safe would have gone a long ways towards clearing up some confusion I had about what was going to happen to Little Flocker post-sale. 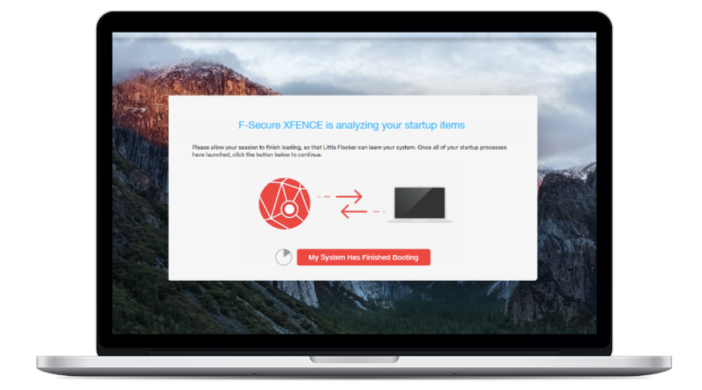 Time will tell if F-Secure’s purchase of XFENCE née Little Flocker is a good thing, a bad thing, or just a thing, but it’s clear Jonathan Zdziarski didn’t want to just abandon the program and its users when he decided to take a job at Apple. I’m glad, because Little Flocker was a tremendous Mac security program for technically savvy Mac users. I’m hoping F-Secure will keep XFENCE that way.